I love listening to scripture songs with my girls. 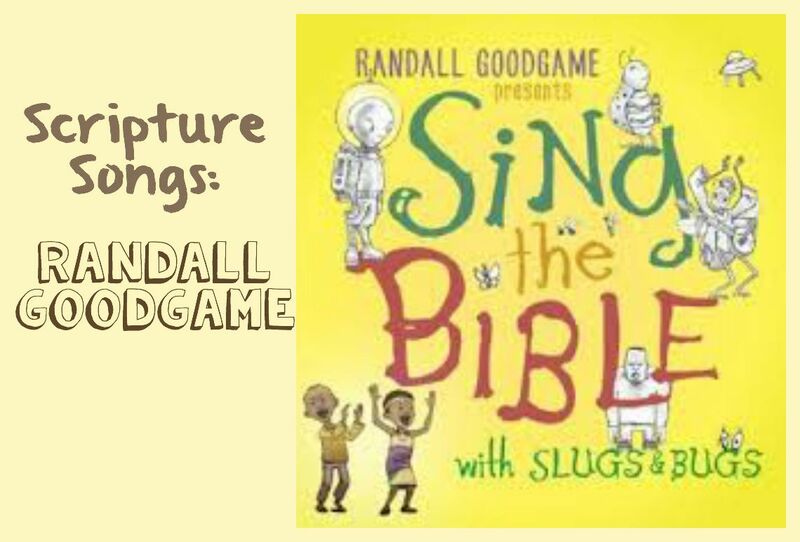 It is such a fun way to get the whole family thinking and talking about God's Word. 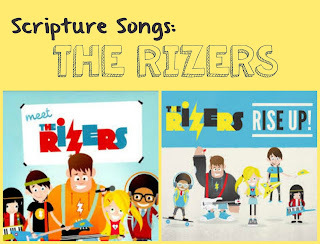 Bible verses put to music give us a chance to meditate on God's Word. 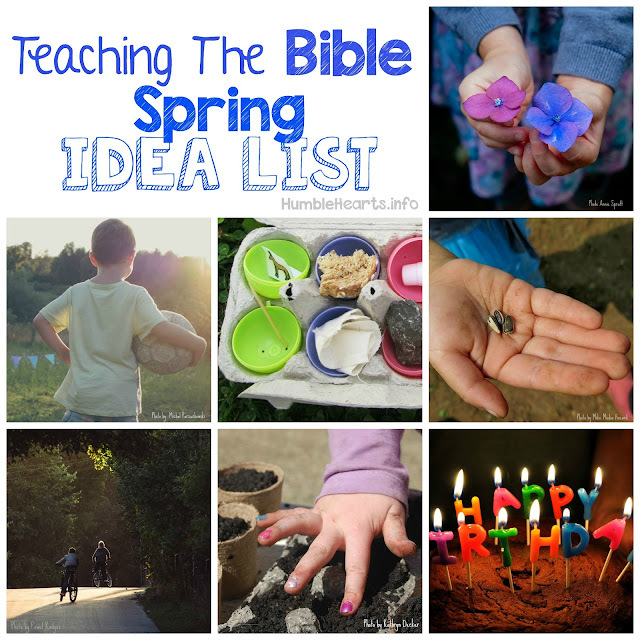 This list of Scripture songs brings to mind so many sweet memories with my children singing, dancing, and talking about the Bible. There is a wide variety of styles here. 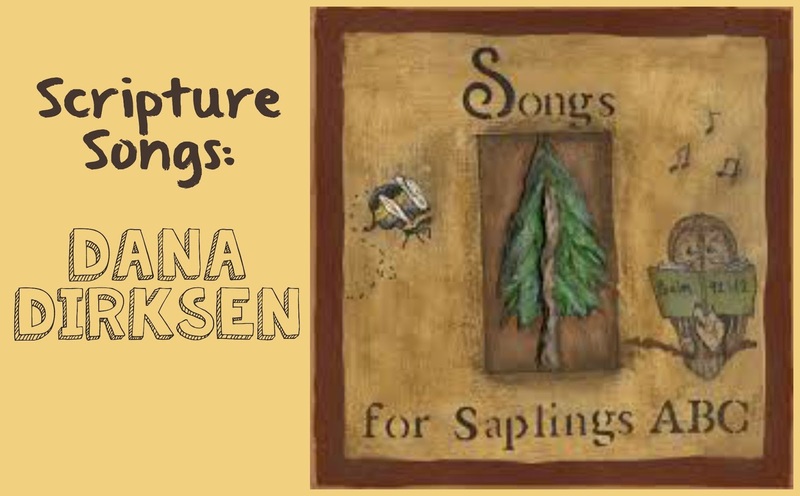 Some recordings are made for kids and some are made for families. The last couple in the list are geared towards adults, but possibly some teenagers might like them. In light of this, there are a few songs on the following CD's that my family skips, but over all we have found them to be are wonderful and helpful resources. Some Of My Favorite Songs: "For Us", "Love One Another", "Old Testament Song", "Freedom", "To You Oh Lord"
I love his sunny singing style. My girls love his playful nature. 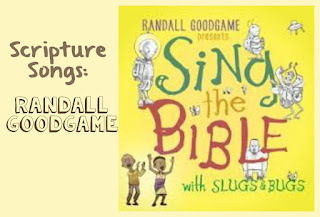 The Slugs and Bugs YouTube page is a fun place to listen to some of the songs, and watch as he works on songs. Volume 2 will be out in March. This is also a great CD. 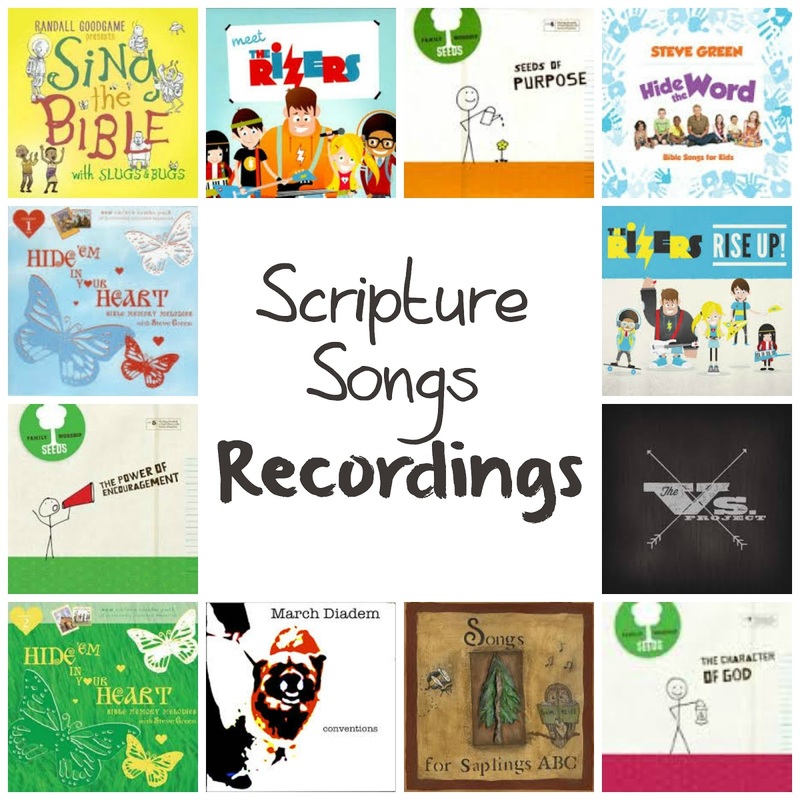 Recordings: "Hide 'Em In Your Heart Volume 1" and "Hide 'Em In Your Heart Volume 2", and a new CD "Hide The Word"
Some Of My Favorite Songs: From Volume 1 - "G-O-D Is L-O-V-E" 1 John 4:16, "Give Thanks To the Lord Psalm 118:1. 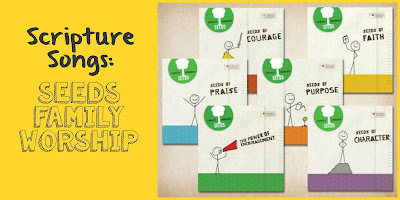 From Volume 2 - "When I Am Afraid", "And Jesus Grew", From Hide The Word - "Cast All Your Cares", "Your Word"
From as early as one years old, my girls loved hearing other children singing. 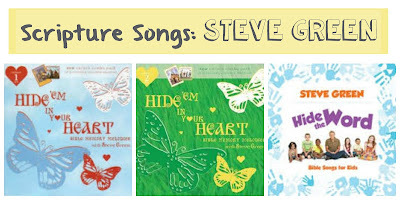 There are DVD's available of some of the songs from "The Hide 'Em In Your Heart Volume 1 and 2". My girls love watching the kids singing in fun situations. The DVD's are sold in a combination pack with the CD's for a great price. On the "Hide 'Em In Your Heart" recordings, he talks before each song, which I could do without. The "Hide The Word" CD doesn't have the talking before the songs. Recordings:"Meet The Rizers", "Rise Up"
Some Of My Favorite Songs: "M - Merry, Proverbs 17:22" "The Beach, Psalm 95:5", "Christmas; Luke 2:11"
She has other recordings that she sings a question or comment along with the Bible verse. 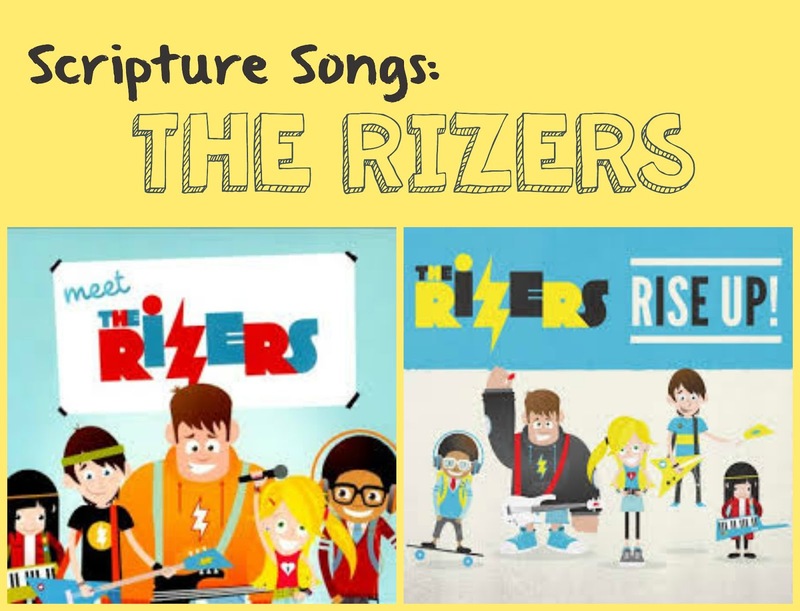 It is difficult to know which part in the song is the Bible verse and so I don't recommend those. 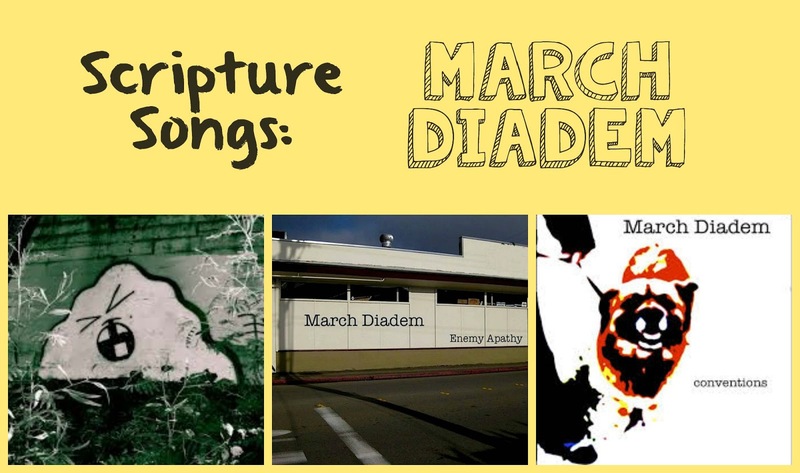 I like using these songs individually when we are learning about a specific topic. I love this video of Psalm 55:22. Watching this video is how I first heard about this band. My girls haven's had interest in this style of music so I haven't listened to all of the songs on all of the recordings. I have purchased a few songs for myself that I liked listening to. 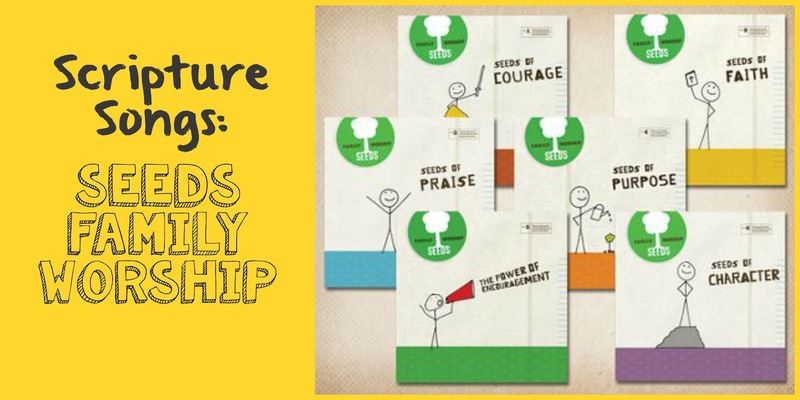 Bible Story Printables has illustrated Bible verse printable for some of Seeds Family Worship songs. 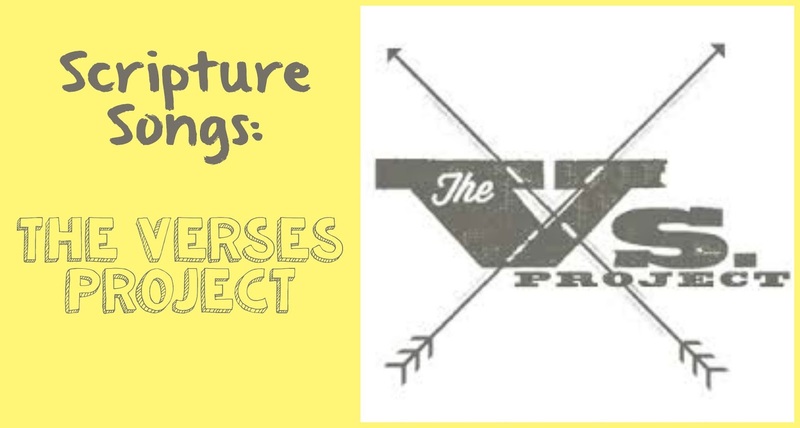 The pictures need to be looked at by a verse by verse basis (some of the pictures I would recommend, and some I wouldn't). 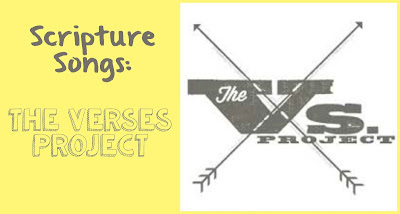 Where to Listen: Website The Verses Project Click on "explore" to see the different verses. These songs are free to download! 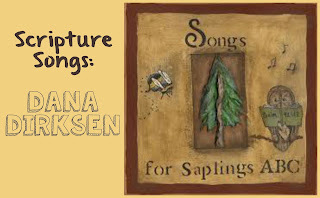 Sign up at the bottom of the webpage for a song to be emailed to you weekly. 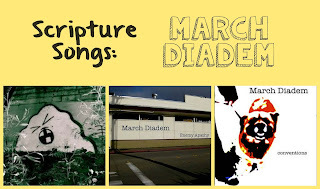 The purpose of this project is to make music and visual art that helps people to mediate on the scripture. I have never read any of the devotionals attached to the songs. You or your teenager might enjoy listening to these songs. Notes: This style of music isn't as mainstream. But you or your child might enjoy it. Disclosure: I make recommendations on the basis of products that I personally use and that I think would be of value to you. I have no material connection to the brands, products, or links that I mention on this blog.